Warning Kit is necessary when driving on the road for emergency. Take it for example in your glove compartment, the reflective safety vest will have to be put on before leaving the vehicle. 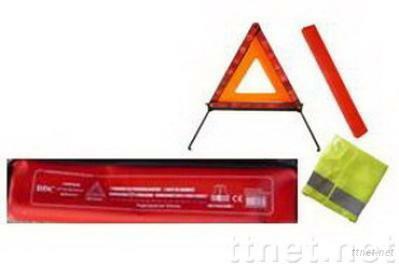 The warning triangle is used to announce your car immobilized and any incident on the roadway. It will have at least to be placed 50 meters (or rather double, even triple) before the vehicle. On motorway, it will then be necessary imperatively to light your hazard warning lights and to put all the occupants of the vehicle at the shelter, behind the safety fences.